A very low mat-forming selection, especially useful in hot sunny sites. 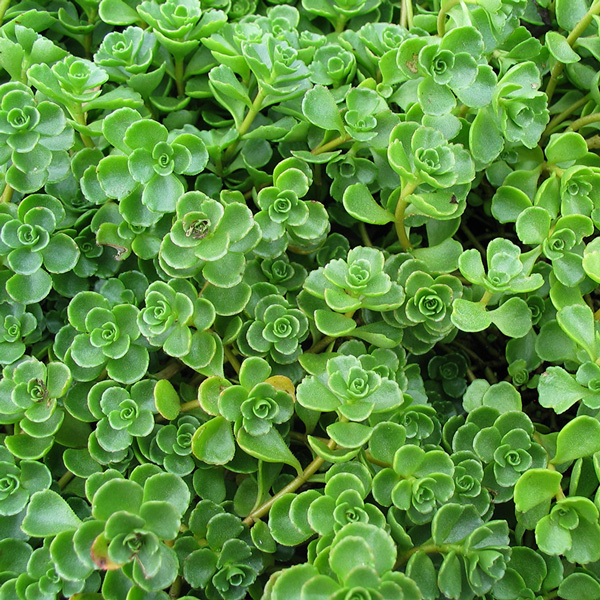 This Stonecrop has rounded deep-green leaves and small clusters of mauve-pink starry flowers in summer. Useful for massing as a lawn substitute over small to medium-sized areas, also between flagstones or in the rock garden. Plants will tolerate poor soil so long as drainage is good.